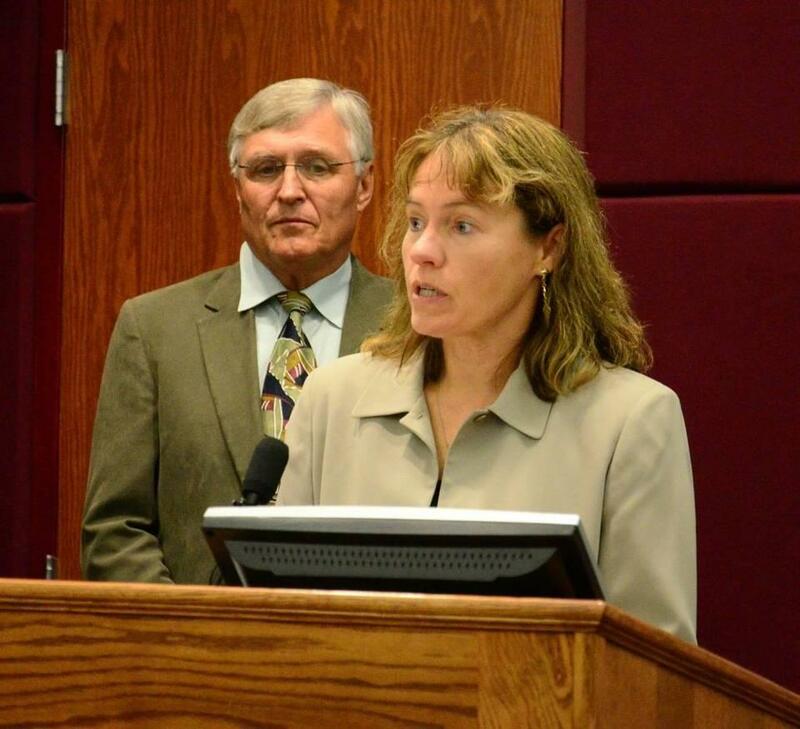 Dr. Christine Hahn talks to reporters about Ebola at a 2014 press conference. Public health has a long and interesting history of fighting infectious diseases, from yellow fever and malaria to cholera and typhoid fever. While these problems still exist, and public health agencies in Idaho continue to deal daily with whooping cough, tuberculosis, and influenza outbreaks, the scope of public health has expanded greatly to include cancer, heart disease, workplace health and the impact of environmental problems. What is the public health response to these conditions? In Idaho, Dr. Christine Hahn has served as State Epidemiologist since 1998 and also serves as the Medical Director in the Division of Public Health, in the Department of Health and Welfare. At this forum, Dr. Hahn will provide perspectives on public health challenges facing Idaho, including outbreaks of disease, rising obesity, suicide and drug overdose rates; preparations and responses in Idaho, including the 2001 anthrax attacks followed by many calls for response to “white powder” incidents; the introduction of West Nile Virus in Idaho in 2003; the 2009 influenza pandemic; and preparations for other infectious and noninfectious threats. She will also discuss the current activities and challenges that public health agencies in Idaho face, and future directions in light of changing federal funding and national priorities.